Friends of the Island Fox: What Color Is An Island Fox? What Color Is An Island Fox? 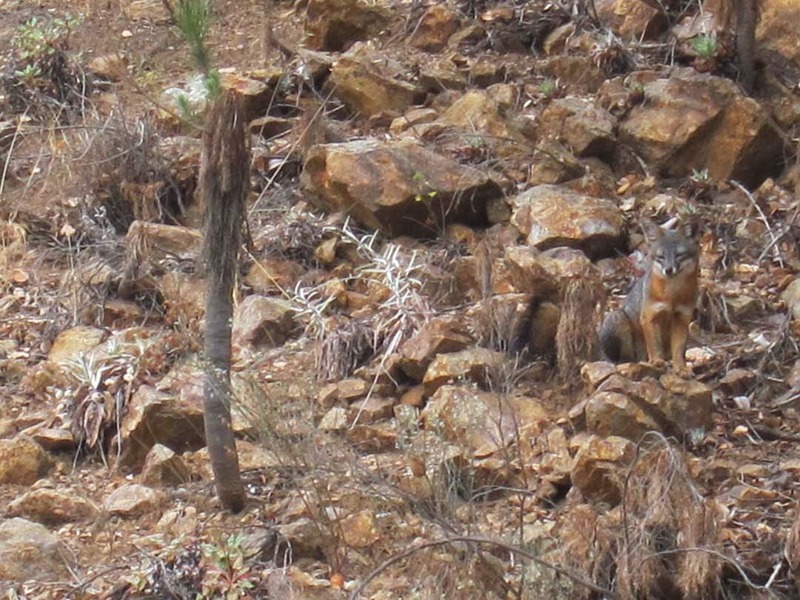 It might seem an easy question, but there is more to the color of a Channel Island fox than initially meets the eye. At first glance an island fox (Urocyon littoralis) appears to be a mixture of white, reddish or rust, and gray markings, with a little black. 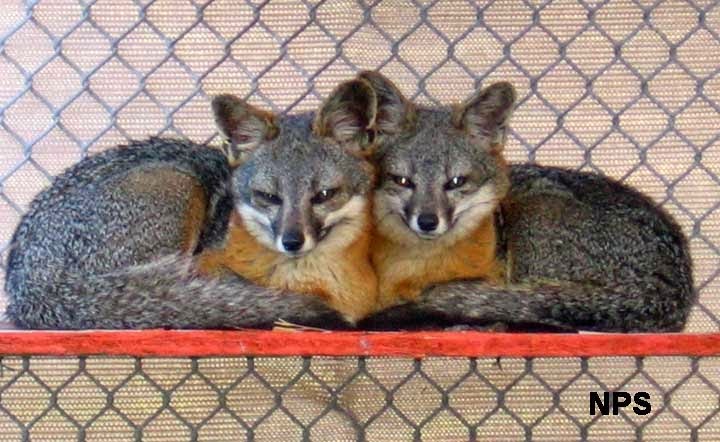 The island fox's ancestor, the gray fox (Urocyon cinereoargenteus) has similar coloration, though typically less rust. 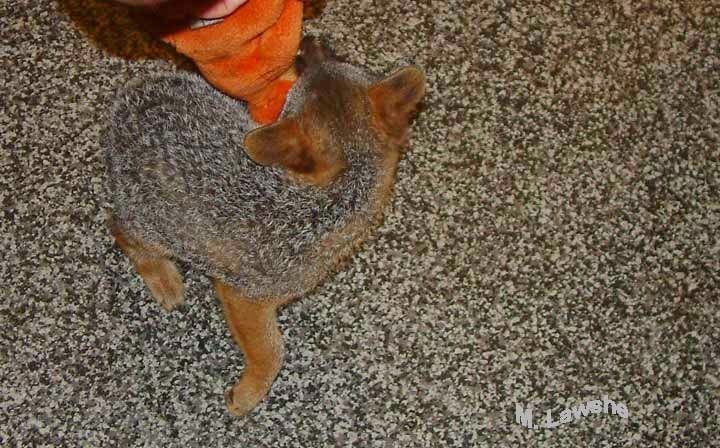 The primary color on an island fox is a grizzled gray along its back. This cryptic coloring provides very successful camouflage because it is not a solid color. 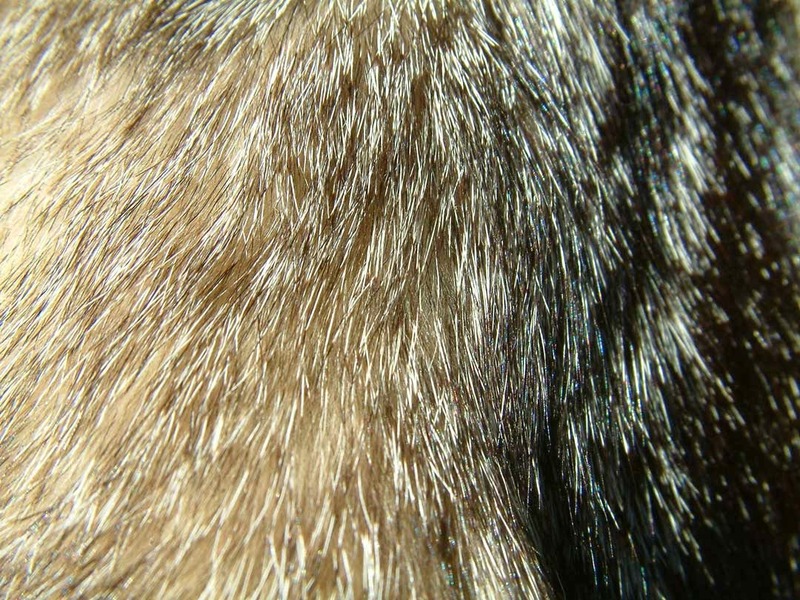 There is an underlying downy fur of a light tan, interspersed with long guard hairs. 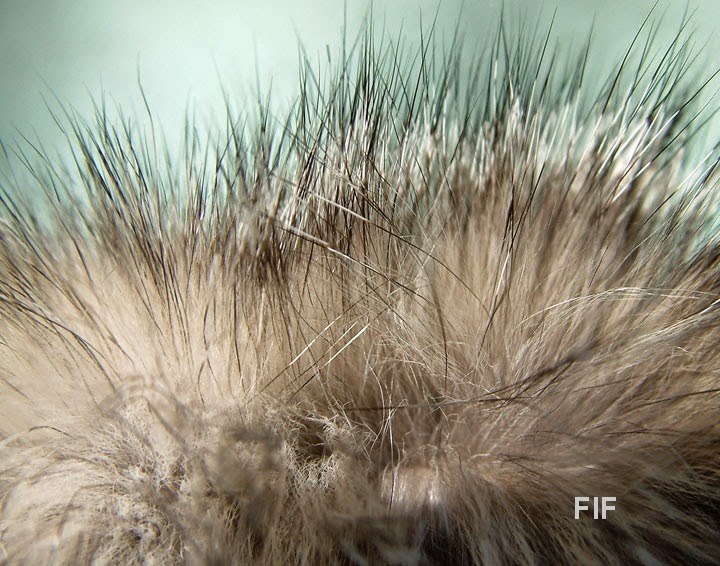 While some guard hairs are black, others along the back are variegated in color. A guard hair may be black, with a thin bit of brown, then white, and finally tipped in black. The combination of colors creates an overall appearance of gray. However, the multiple layers of varying color create a break-up pattern; there is no solid color for the eye to discern. 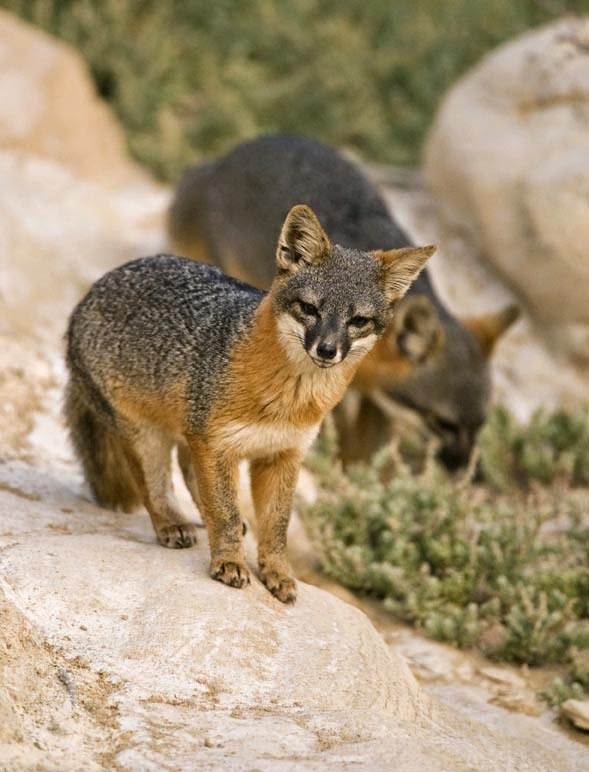 This allows the island fox to disappear into landscapes with low light levels–shade, twilight or fog. 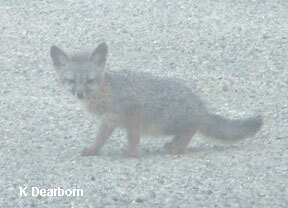 This characteristic also makes it challenging for auto-focus on a camera to successfully focus on island foxes. The fox in the photo to the left is actually standing, but it is hard to visually distinguish its back from the floor. The variability in island fox fur also means that small hereditary changes in the fur can make large general changes in appearance. A little less black at the tip of the guard hairs and the overall appearance is much lighter. 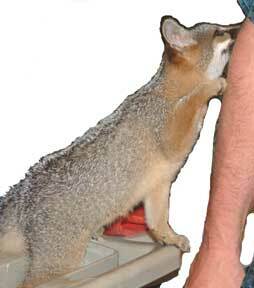 Such an island fox may appear more beige or brown and blend in better with the environment of the southern islands: San Nicolas or San Clemente. Lighter colored individuals may also be more successful hunting sand dune or beach habitats. A bit more black on the tip of the guard hairs and the overall coloring appears much darker and more gray. This coloring is more beneficial in habitats with denser vegetation, Santa Catalina, Santa Cruz and Santa Rosa Islands. 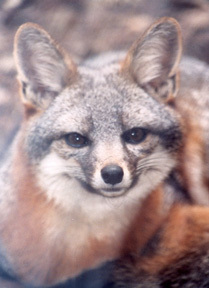 The plasticity of their camouflage coloring has helped island foxes remain successful hunters in varied Channel Island habitats.